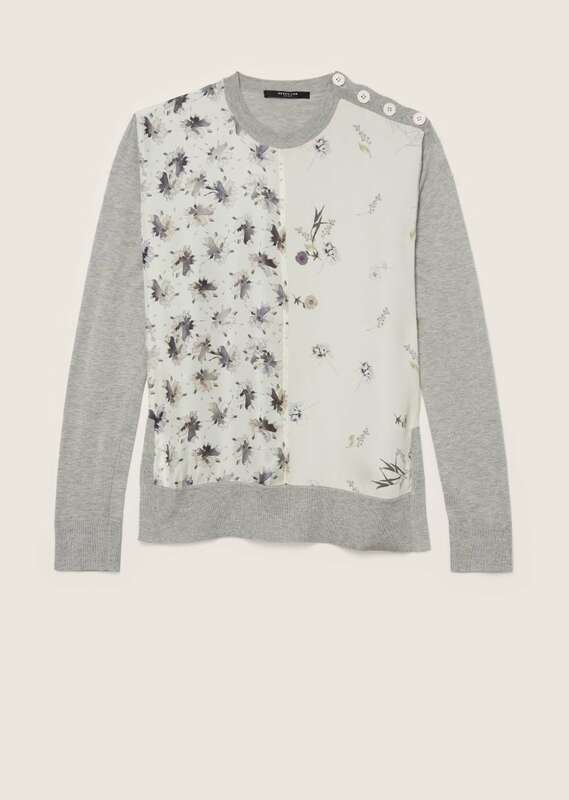 Long-sleeved ivory jersey pullover with mixed print silk panels at front. Crew neck. Contrast trim at neck and hem. Imported.